Perrier-Jouët Belle Epoque Champagne is amazing. Match it with the incomparable food at Le Bernardin and it’s just complete insanity. We started out with some 2002 Blanc de Blancs (made only with Chardonnay grapes). This is only the fourth time they’ve ever even made a vintage Blanc de Blancs. Most people go crazy for BdB’s, but I’ll tell you right now they’re never my favorites. I mean I wasn’t gonna spit it out or anything, let’s not get crazy, but there’s like a lightness to them that just makes them not my top pick. I know BdB freaks will think I’m crazy and if you like them you’ll love this one, but my palate is my palate. Anyway, it was paired with these incredible “barely cooked” scallops in an even more incredible warm brown butter dashi sauce, all in an absolutely beautiful shell presentation. Fantastic pairing, however you feel about BdB! Next up was the Belle Epoque 2006 (remember, vintage Champagnes are only made in the best growing years and aged for at least 3 years.) This was my jam: 45% Pinot Noir, 5% Pinot Meunier, 50% Chardonnay, 100% amazing! Yellow apple with a dash of pear and fresh almond and just so elegant! Hervé Deschamps, their chef de caves (head winemaker), said that it could age for another 15 years. Who am I to disagree? Ugh, I looove great Champagne and all those teeny bubbles. 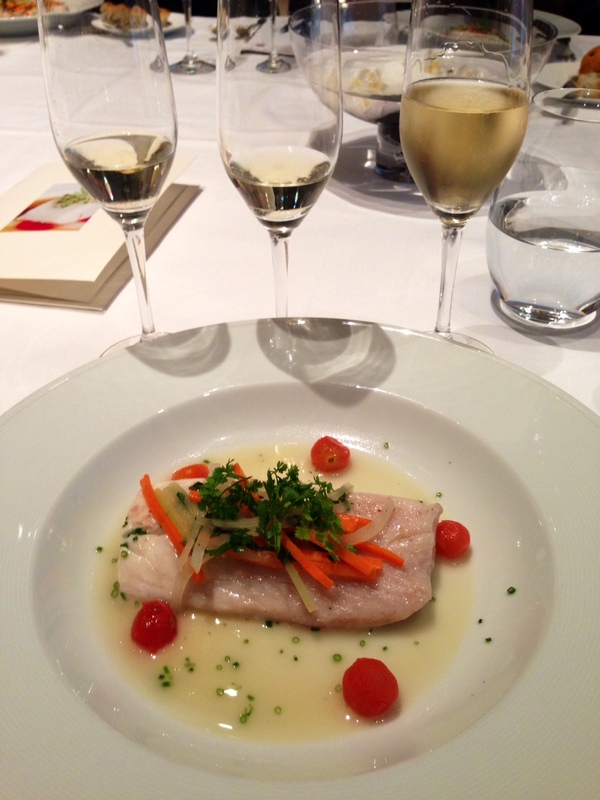 So take this and pair it with some sea bass in a Champagne “nage” sauce – pchwwwww! That was the sound of my mind exploding. herve, who’s worked at perrier-jouet since 1983! And last, for dessert we had the 2004 Belle Epoque rosé (45% Pinot Noir, 55% Chardonnay) paired with this mango ginger situation and black sesame ice cream. Normally I don’t like rosé with dessert – the basic rule is that your wine has to be sweeter than the dessert. But would Le Bernardin ever make a lame mistake like that? Rhetorical question. The Belle Epoque rosé isn’t sweet, but it was a great complement to the sesame. 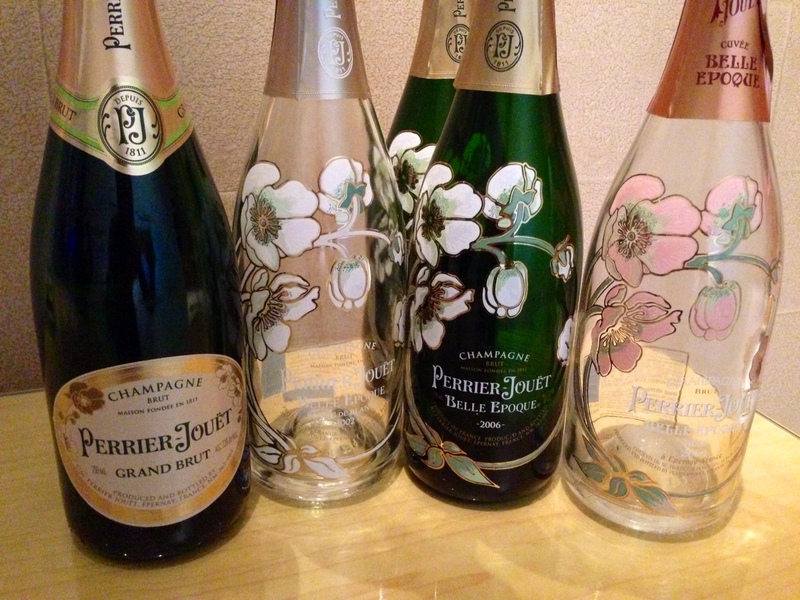 Also, don’t you think Perrier-Jouët has the most beautiful Champagne bottles? The anemone flowers were designed by Emile Gallé in 1902. It was all part of the the Art Nouveau movement which tried to incorporate nature and poetry into daily life. 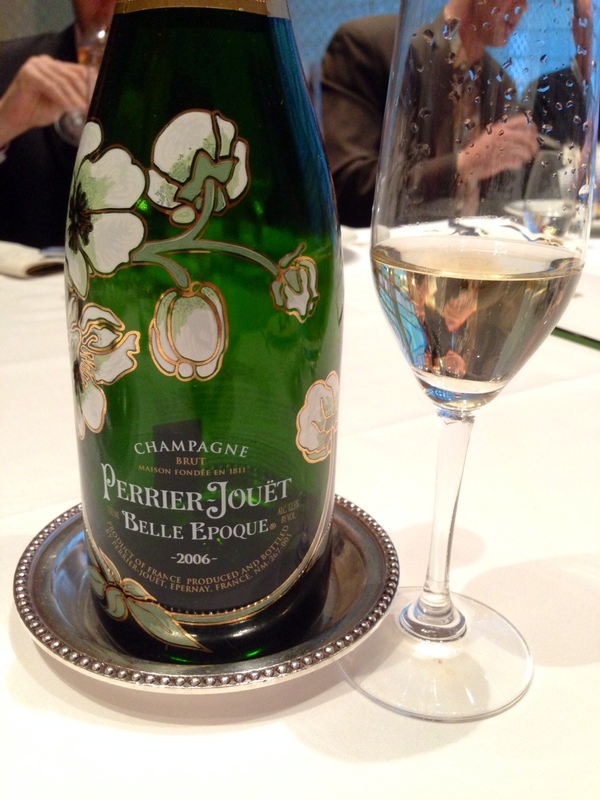 The anemones were put on the first Perrier-Jouët Belle Epoque vintage in 1964, and I think they look so pretty on the green and clear bottles. You can get the Blanc de Blancs 2002 for around $300, 2006 vintage for $140, and the rosé for about $250 (oh come on, you’re worth it!). 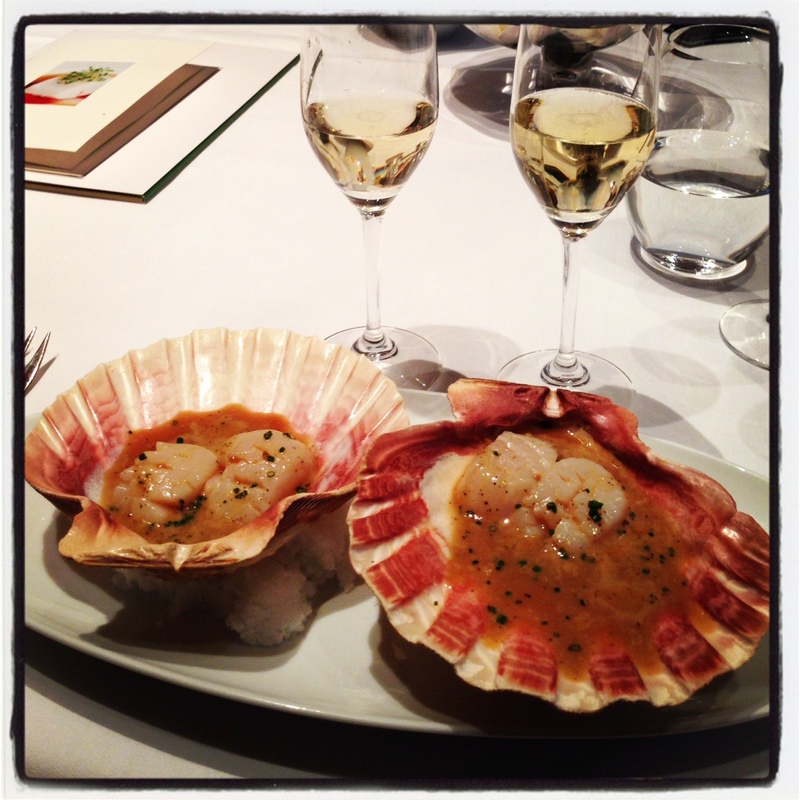 Tags: champagne, chardonnay, food & drink, perrier jouet, pinot meunier, pinot noir, wine. Bookmark the permalink. Previous post ← no siesta for grapefriends! 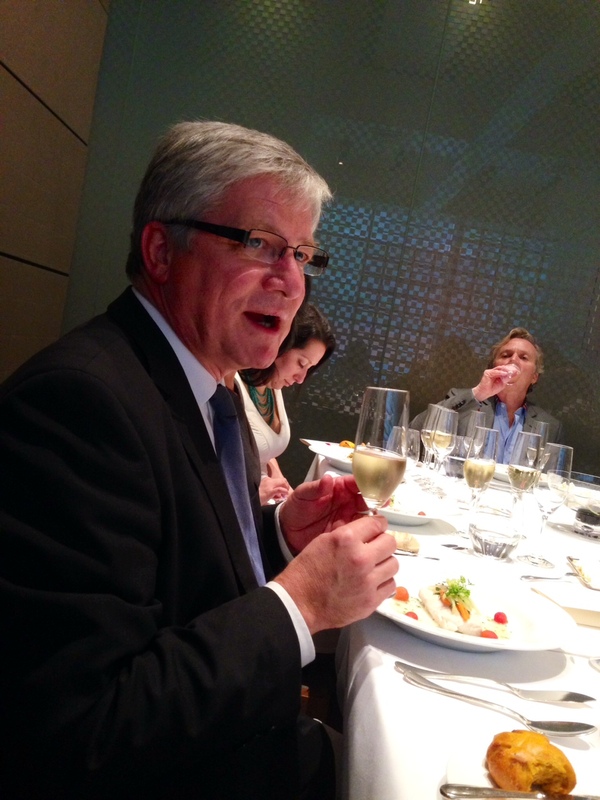 It was yummy – the Gran brut is much less but still great. I prob should’ve mentioned that in the story! I adore a story with bubbles in it! Looks like you did some serious P-J damage there! The best kind of damage! 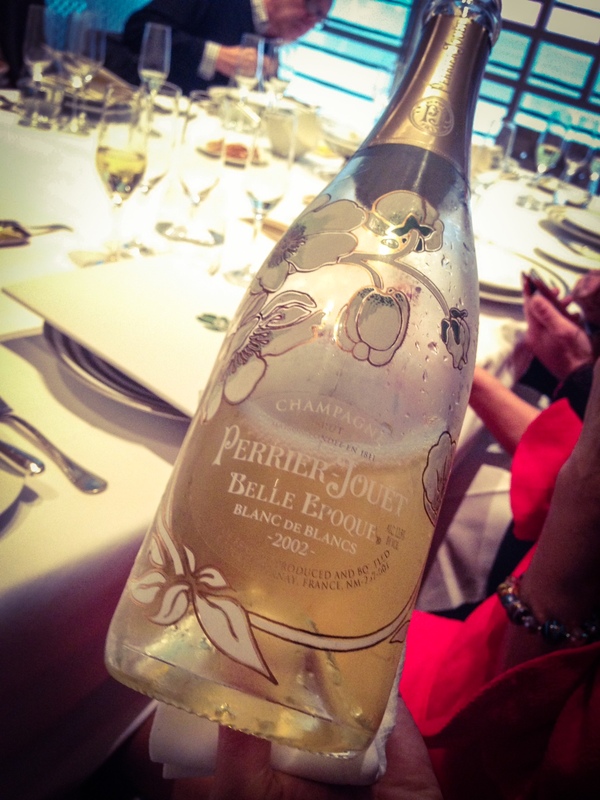 Those bottles are gorgeous (and I bet the bubbles were even better!). This is putting me in a mind to start planning my New Year’s dinner–I just received Eric Ripert’s Avec Eric for my birthday, and now I want to make some dishes from it and have some P-J to toast the new year! 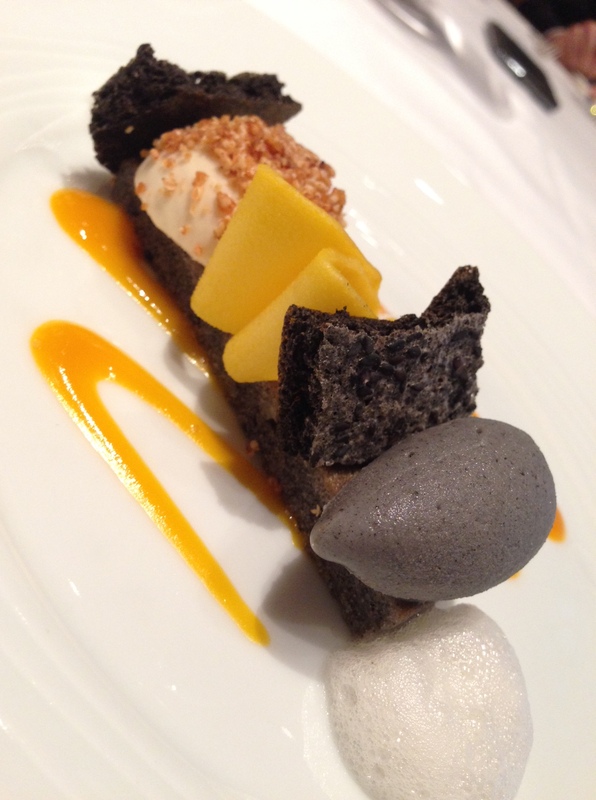 Eric Ripert is a total genius. The food is just unlike anything else. 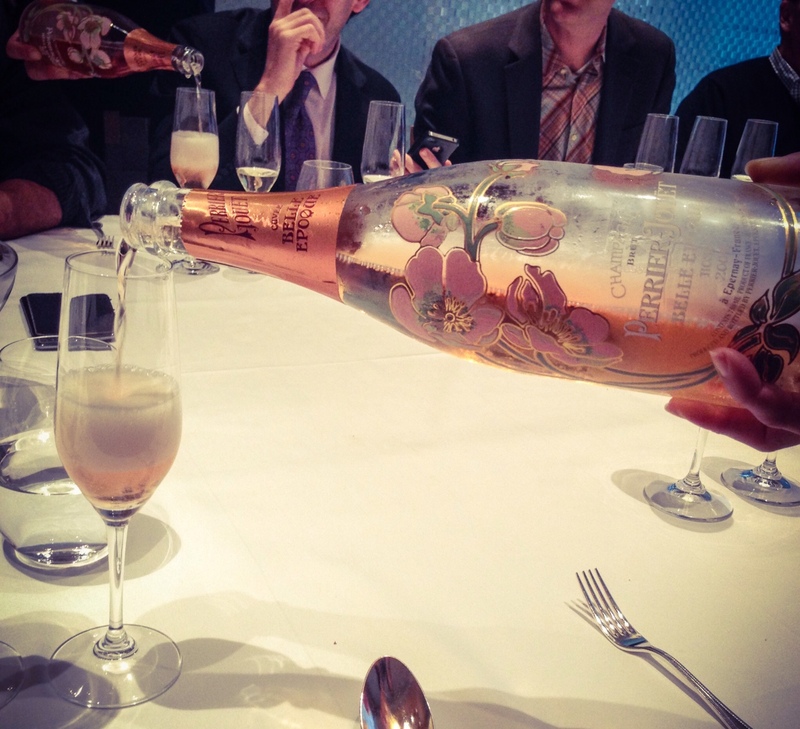 Love rose champagne–this looks amazing. a gorgeous one too – cheers!